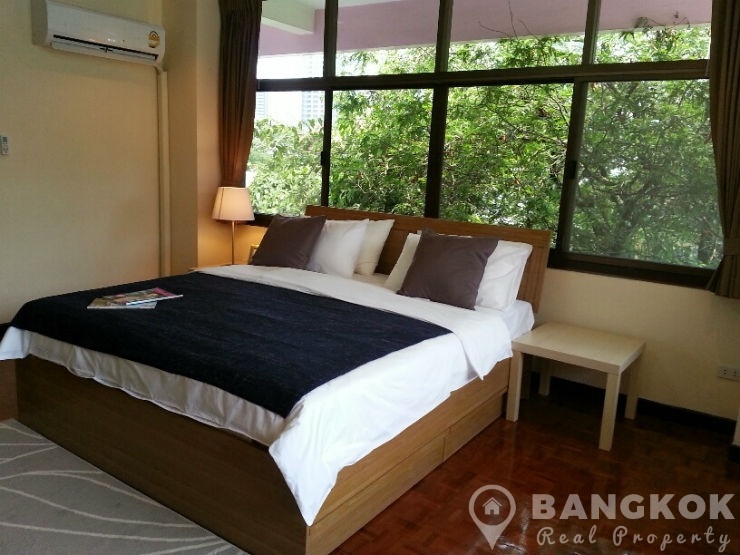 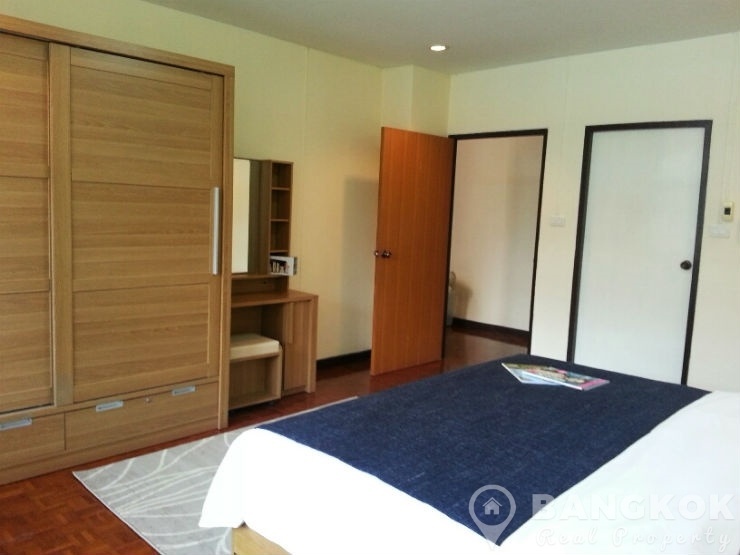 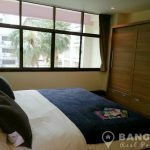 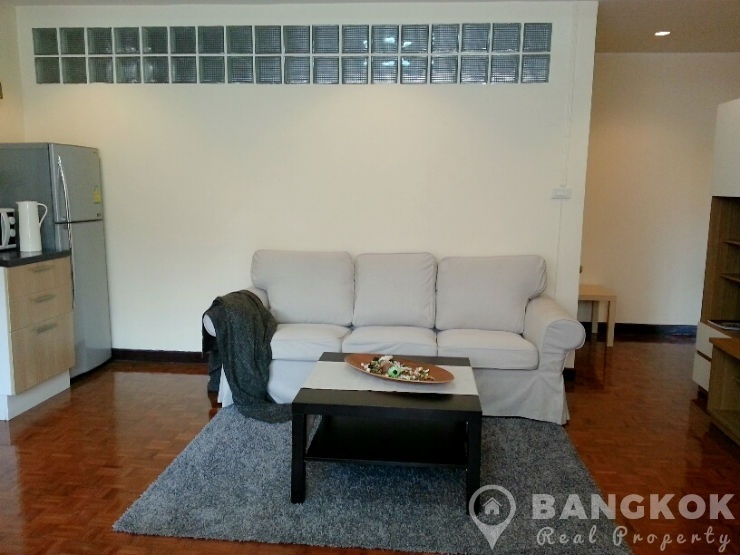 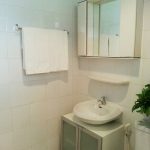 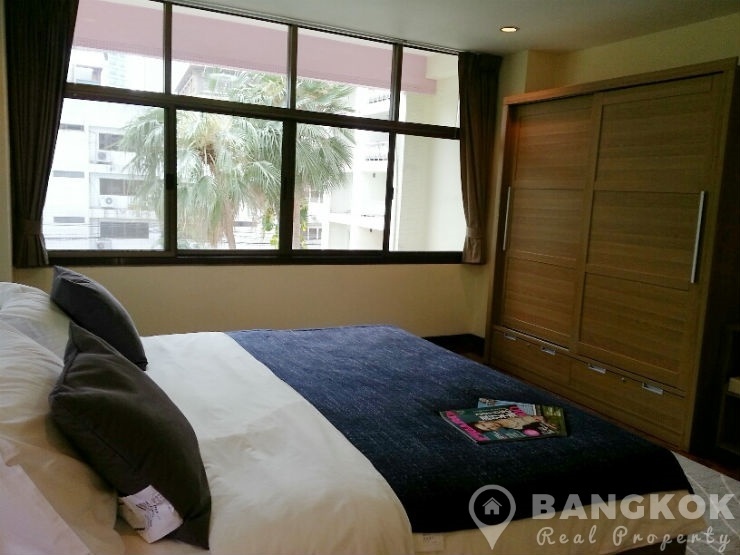 A very spacious, 1 bedroom Sukhumvit apartment is now available to rent, ideally located just off Sukhumvit 31 in a quiet area of Phrom Phong and yet within easy reach of Phrom Phong BTS and EmQuartier. 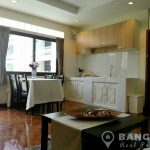 This low rise apartment building built in 1989 with just 25 apartments, offers residents a friendly, family environment and yet has good access to many amenities including EmQuartier, The Emporium, Terminal 21, Villa Market @ 33, Samitivej Sukhumvit Hospital, NIST International School and Benjakiti Park & Lake. 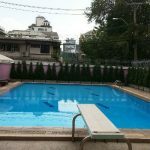 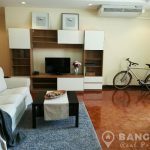 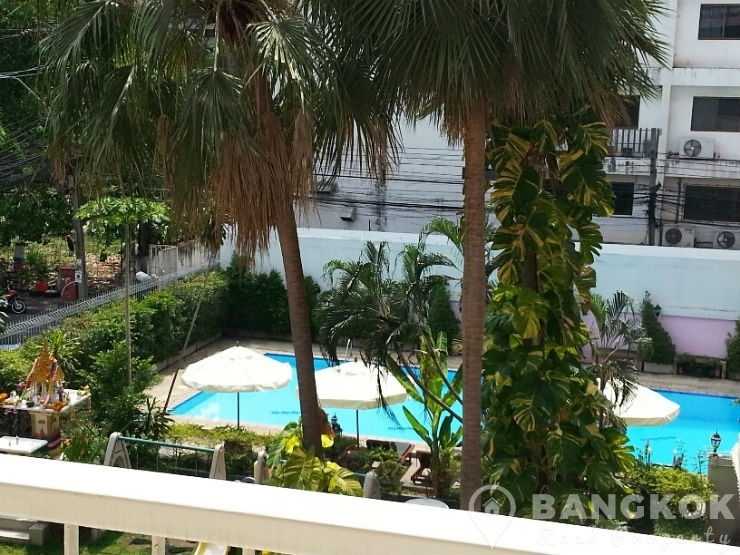 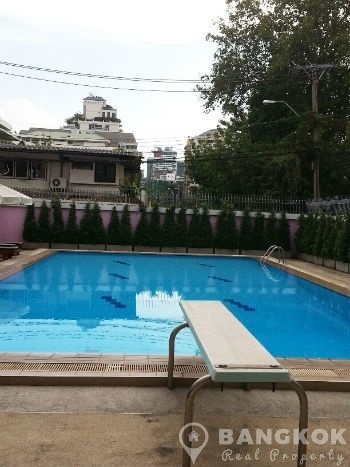 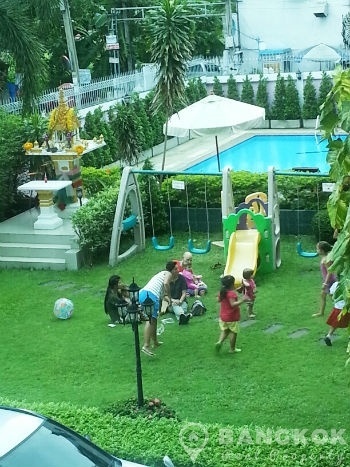 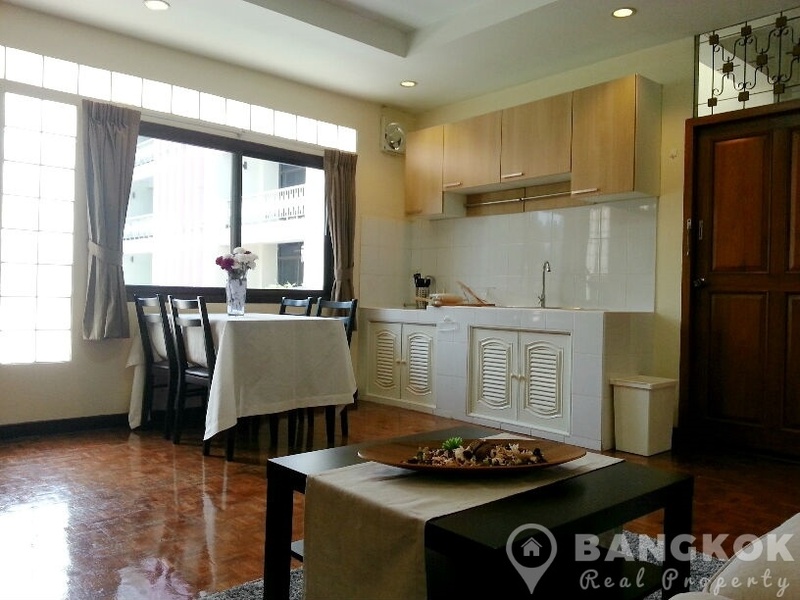 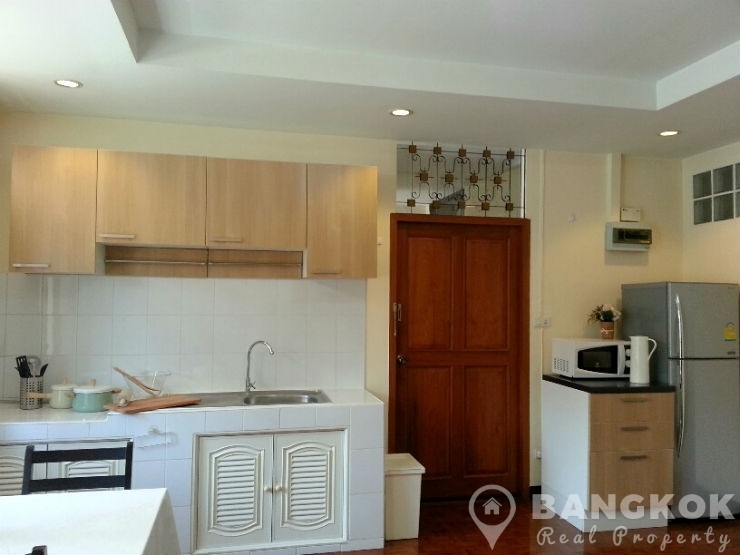 Situated on a mid floor, this spacious Sukhumvit apartment un-blocked views out swimming pool and 80 sq.m of living space. 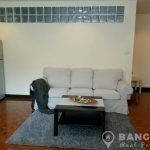 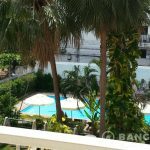 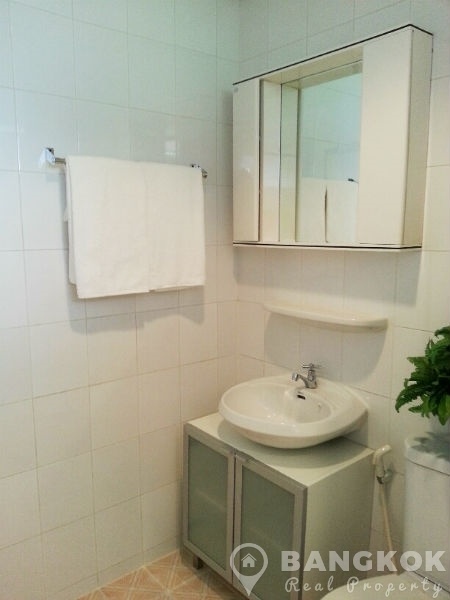 The apartment has 1 large double bedroom with good wardrobe space, 1 modern bathroom, large livingroom – kitchen with a large balcony, kitchen with built in units, microwave, and fridge-freezer. 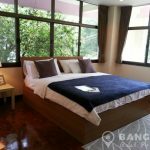 The apartment is fully furnished and air conditioned with hardwood floors through out.